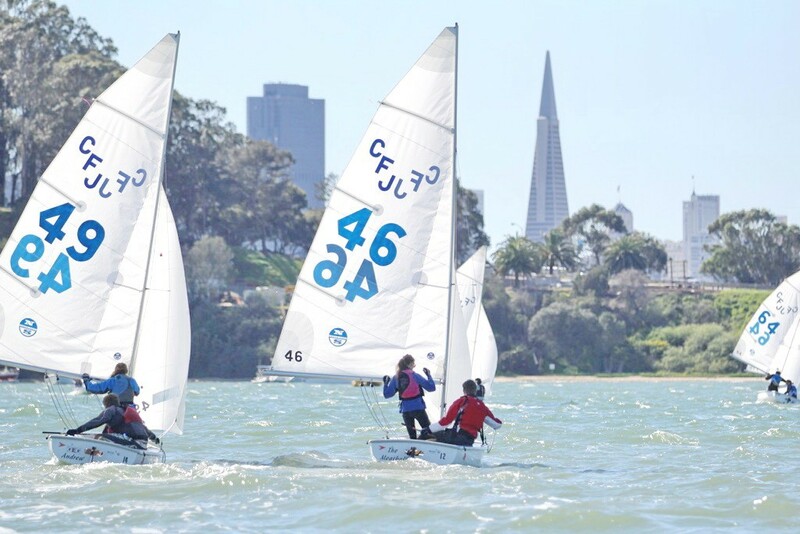 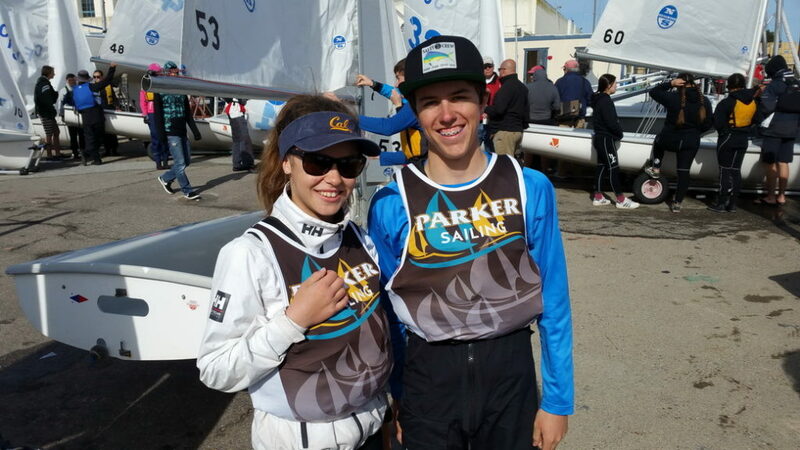 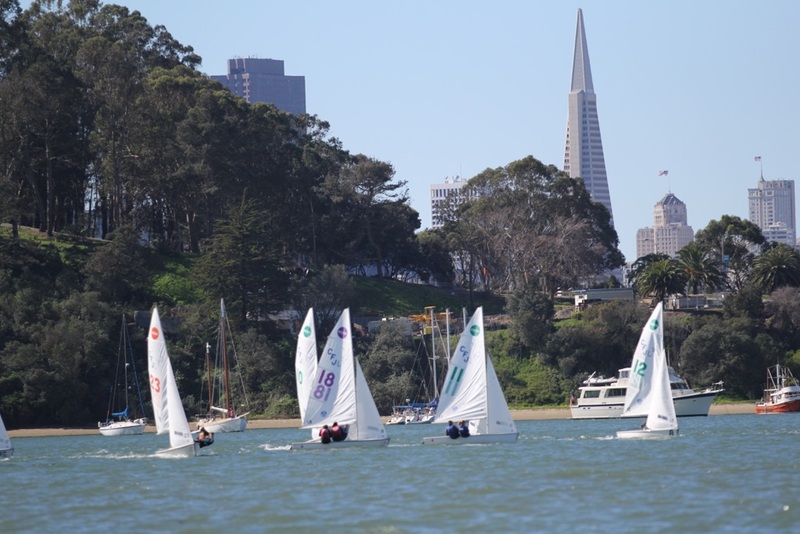 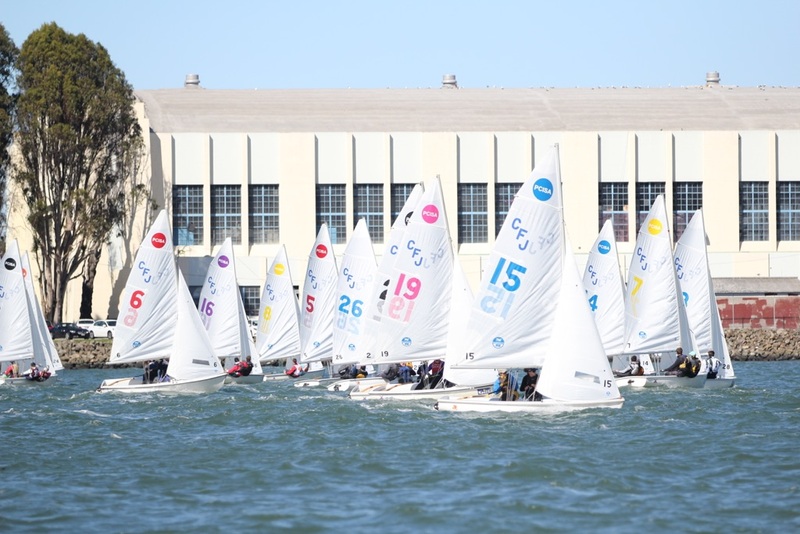 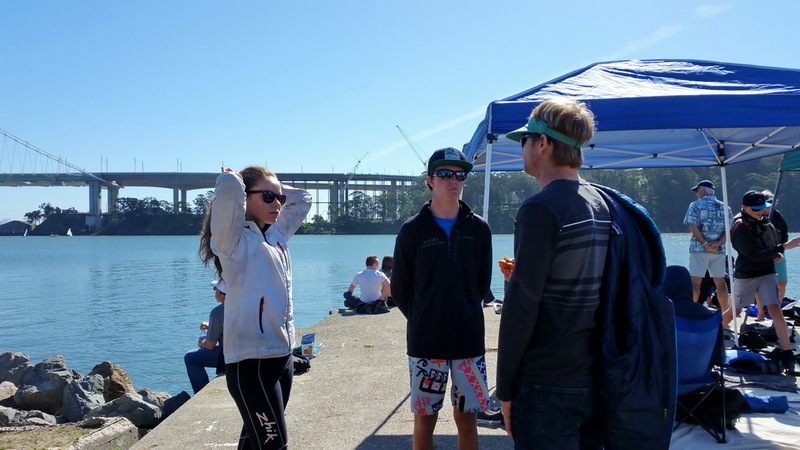 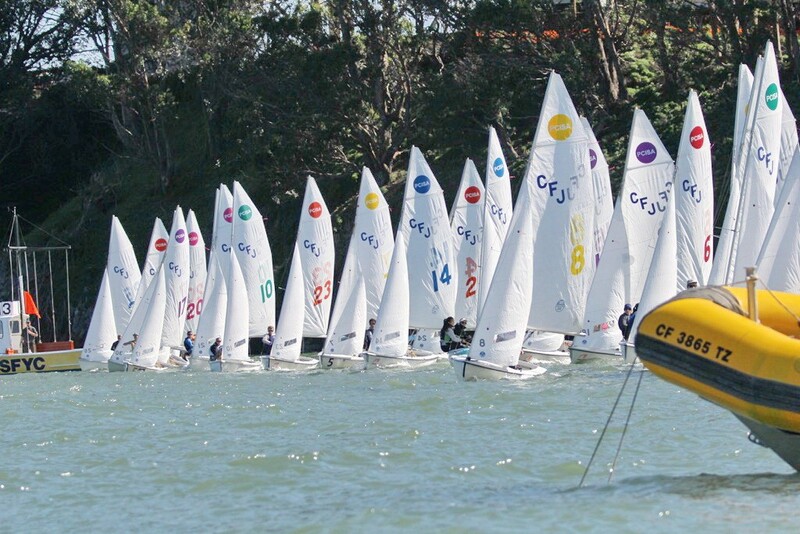 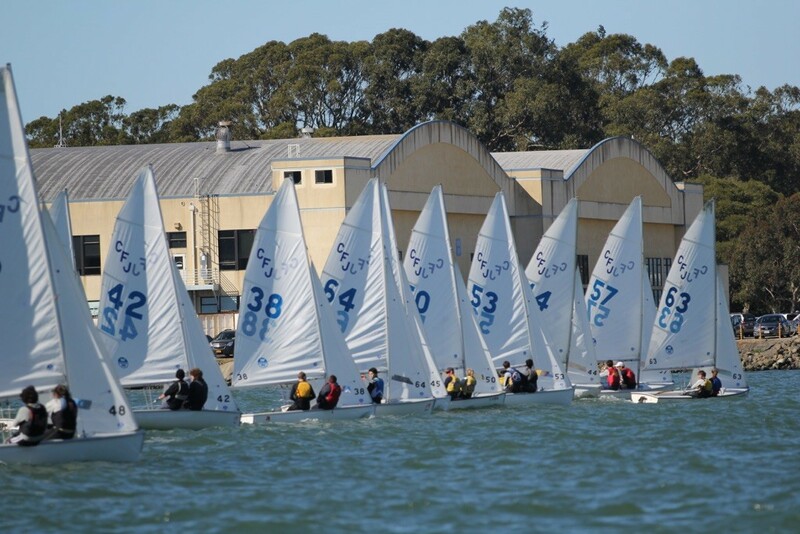 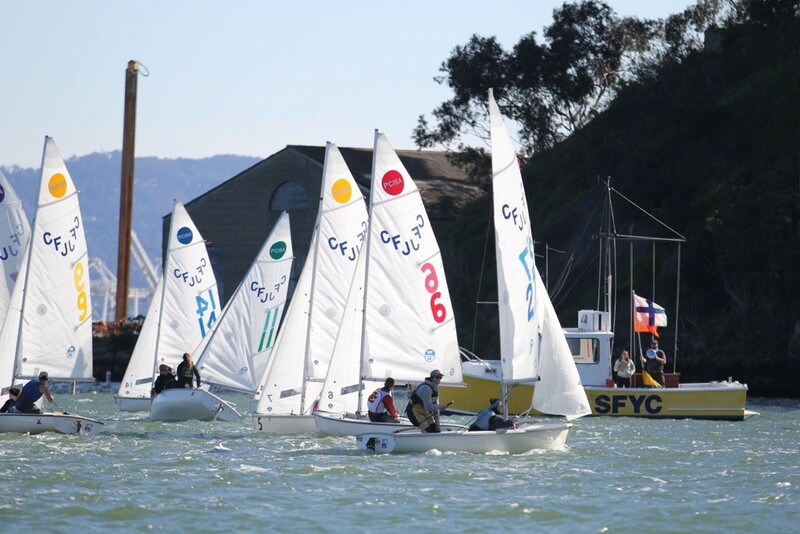 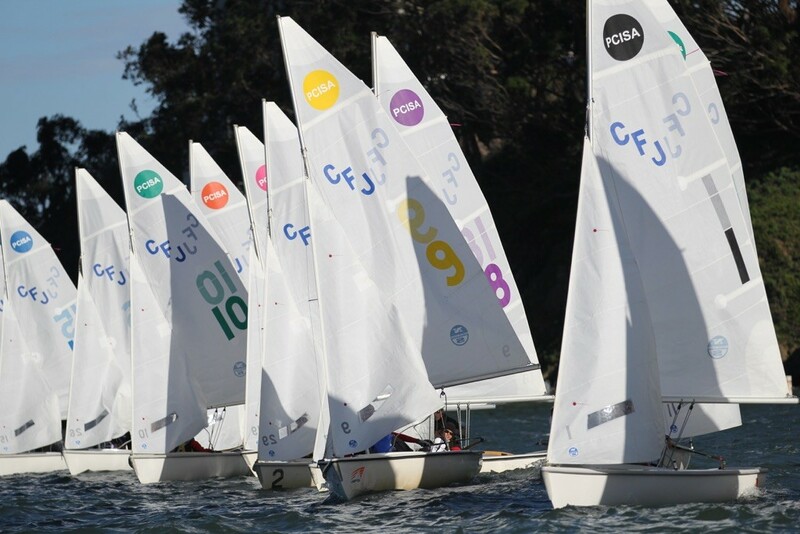 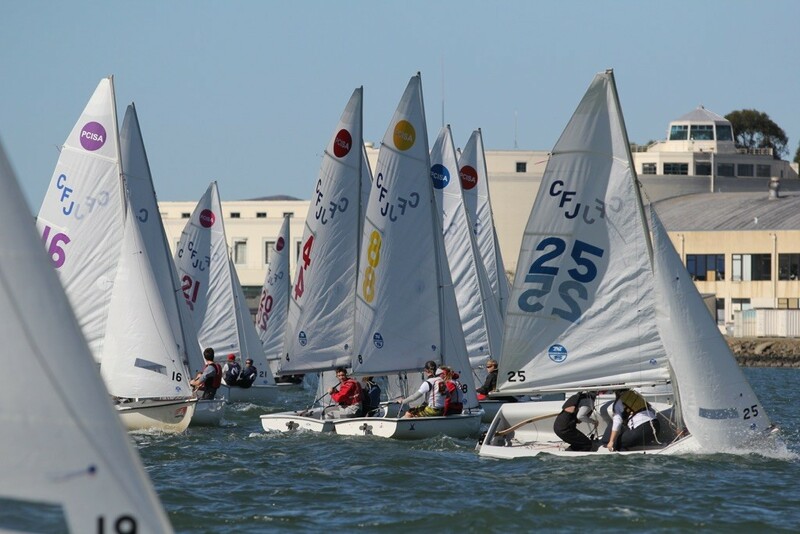 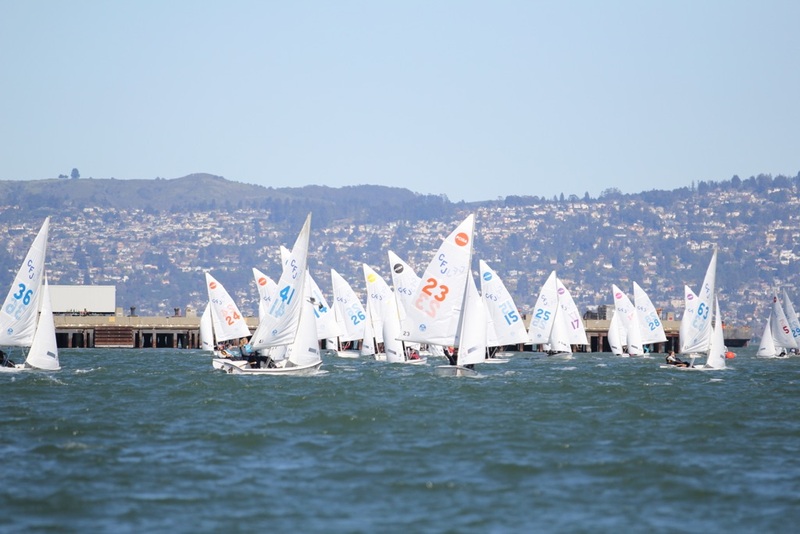 With 100 California High School Sailing teams no surprise 60 showed up at Clipper Cove for the February, 2015 PCISA Golden Bear Regatta. 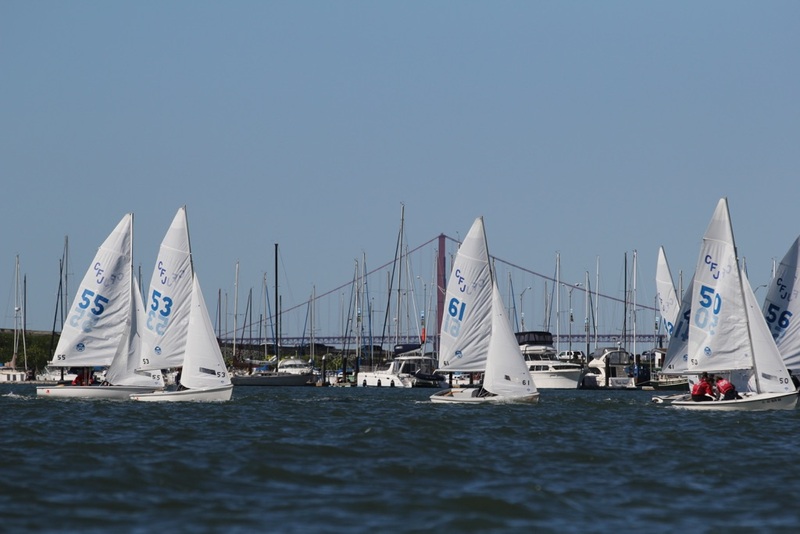 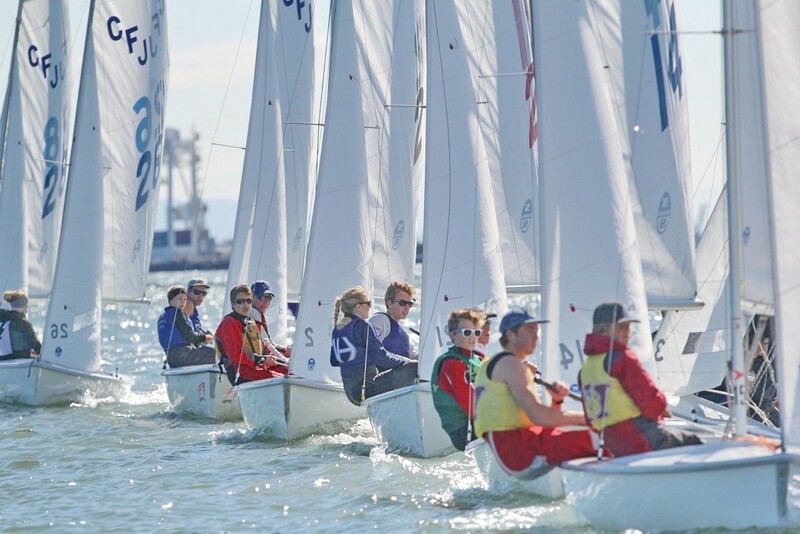 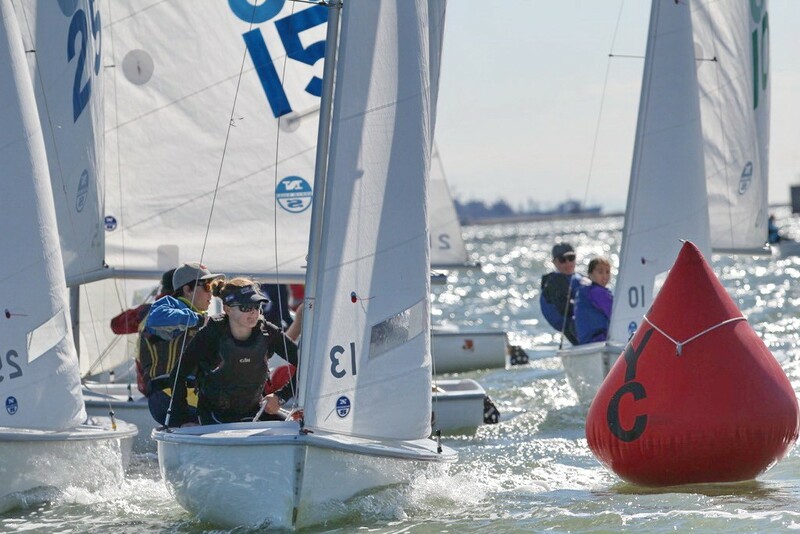 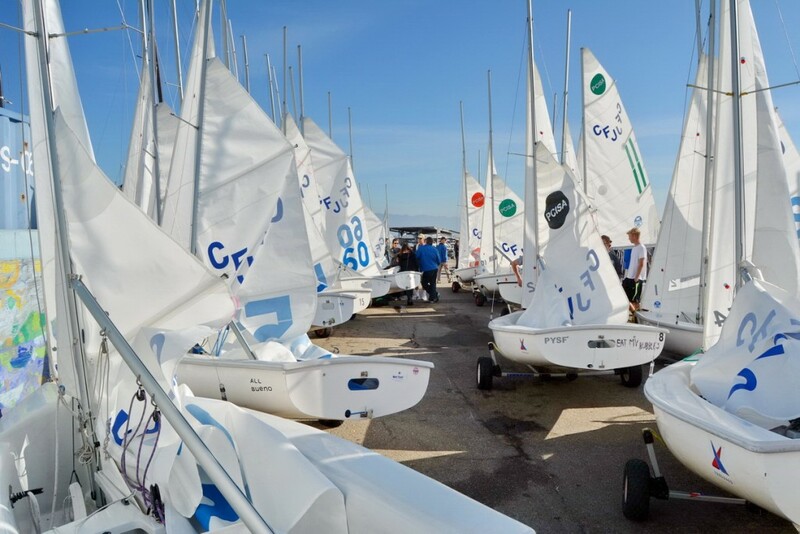 600+ sailors, coaches, parents, chaperones and spectators participated over the course of the two-day, blue sky weekend. 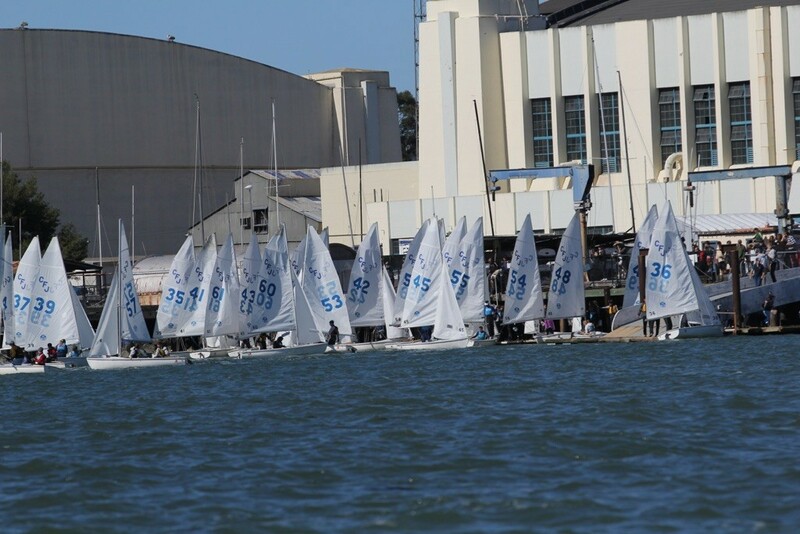 Excuse me – last February? 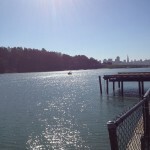 OK, Full disclosure: I plead “out of town without pictures” for that weekend. 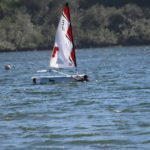 Hence the big delay in writing this post. 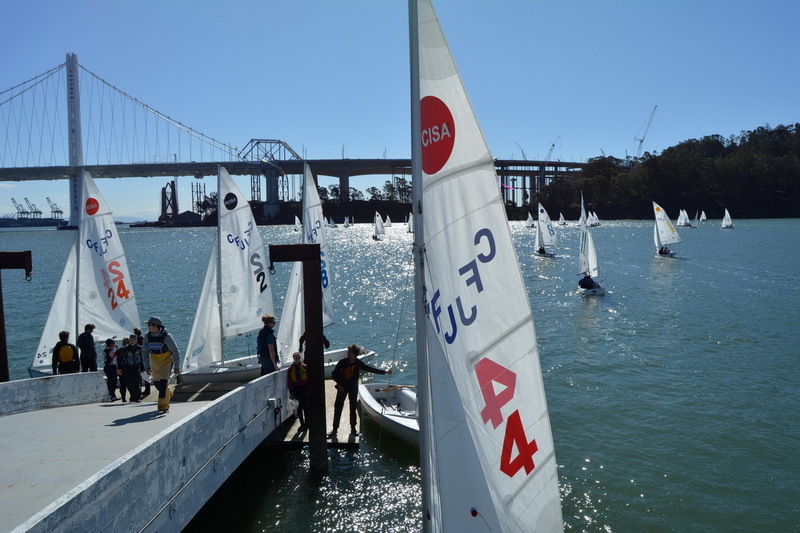 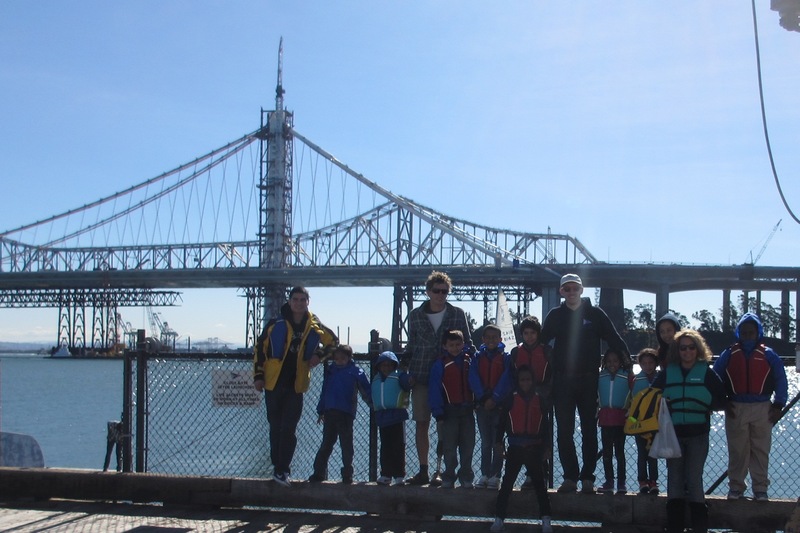 Fall practice for the E*A*S*T Sailing Team started last week (April blog about E*A*S*T) and was a wake-up call to me to get on the favored tack and share the excitement of High School Sailing on Clipper Cove. 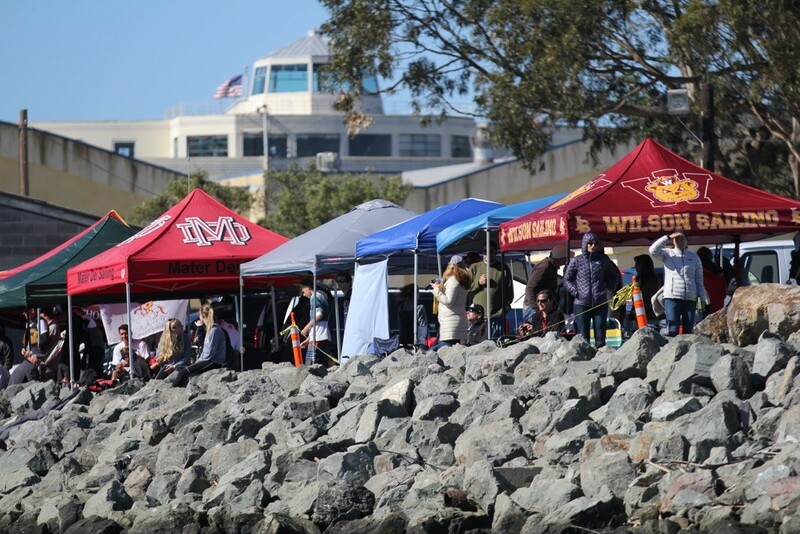 We’ll check in with their team later this fall. 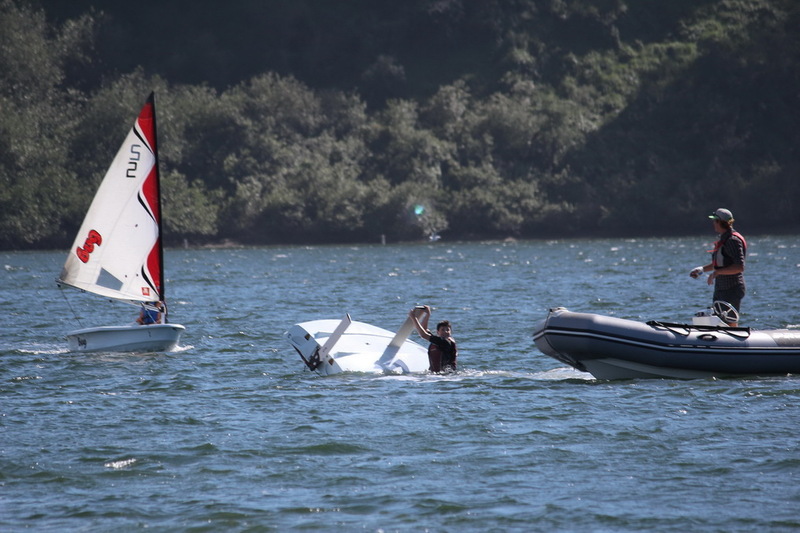 The real enablers for this blog were photos from Lyn Hines and Steve Harris, plus stories from Mike Segerblom. 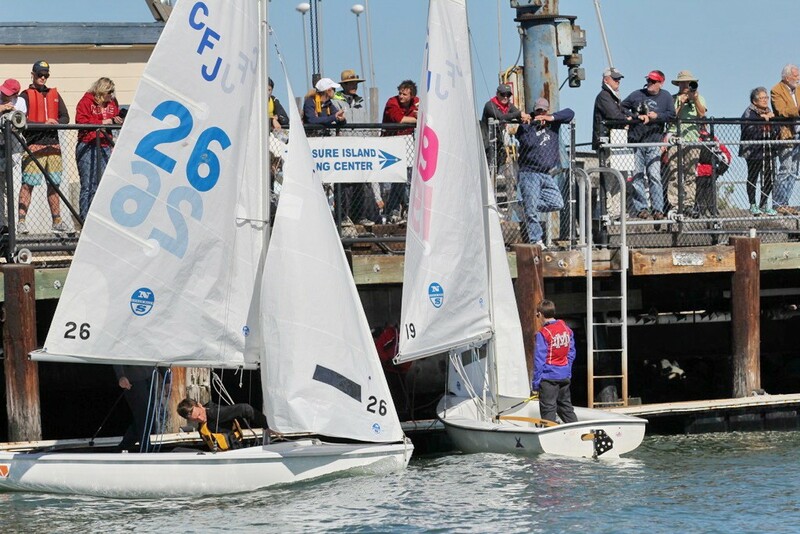 I now have pictures and can catch everyone up on the PCISA Golden Bear regatta. 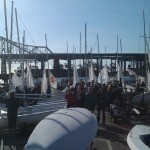 Formerly The Cardinal Regatta, this event has been held at TISC since 2012. 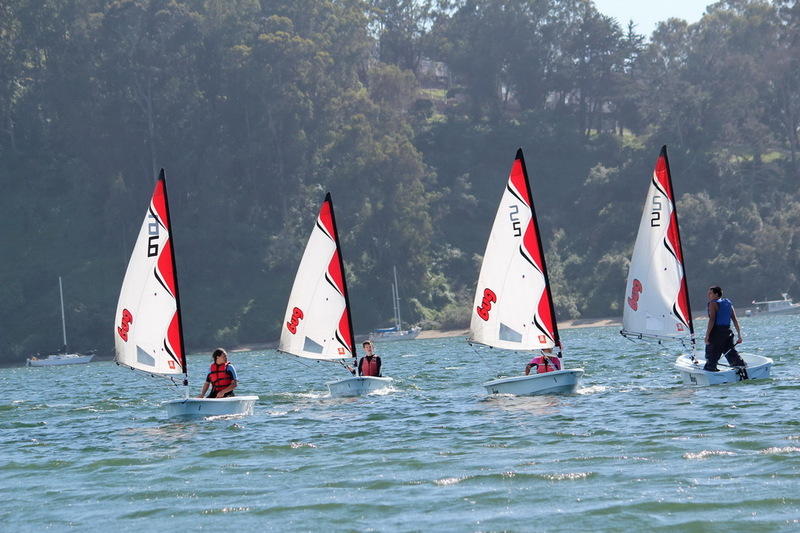 Clipper Cove delivers a unique and perfect venue for High School Sailing with its combination of protected waters, minimal current, good winds and excellent viewing opportunities. 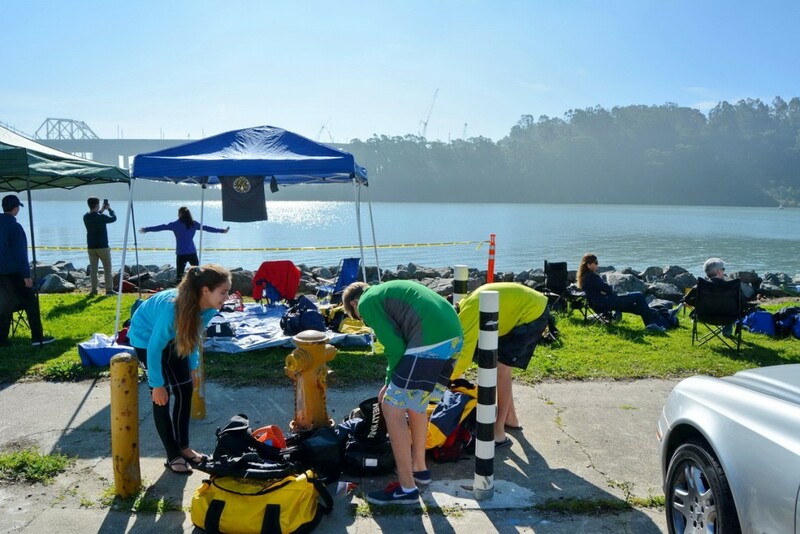 Early Saturday was calm on the water which provided time for preparation on the shore. 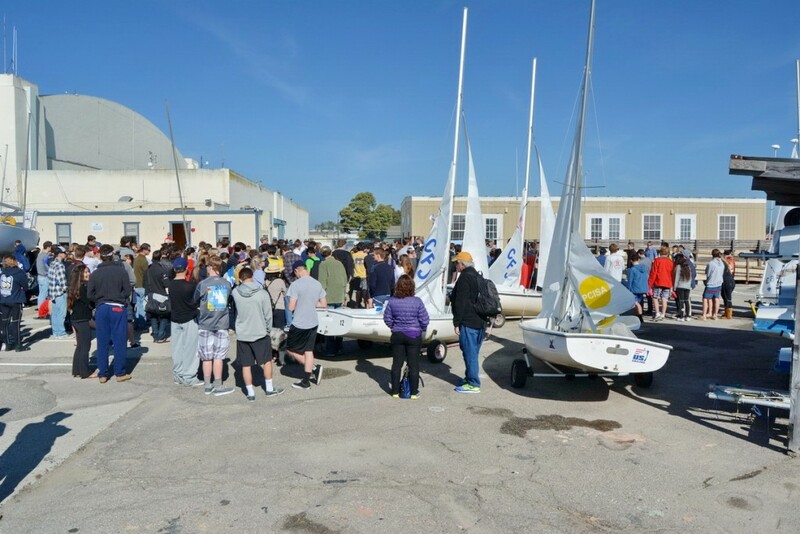 Once the 60 teams from 50 schools arrived just about every square inch of space at TISC was filled with boats, sailors and parents. 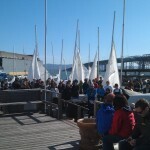 Landside and waterside were equally busy. 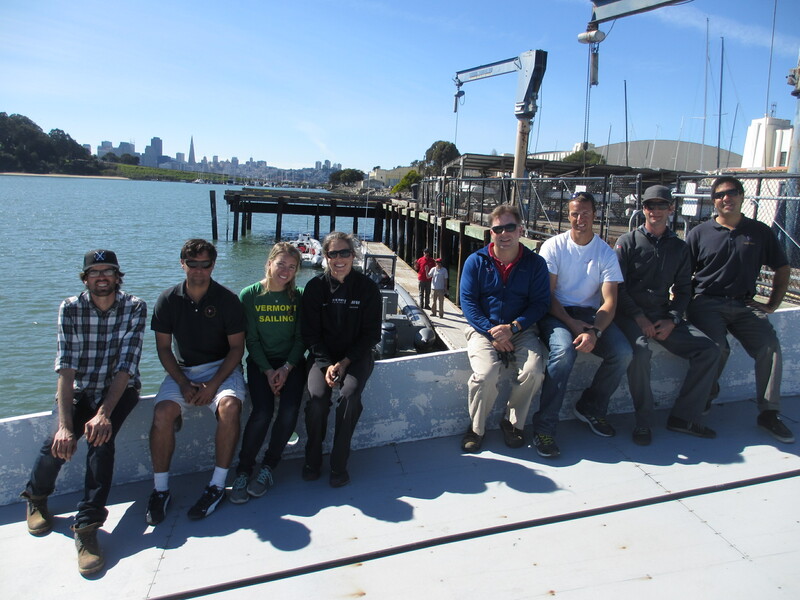 Kudos to St. Francis Yacht Club for providing a staff of expert volunteers plus the safety boats needed to run Golden Bear. 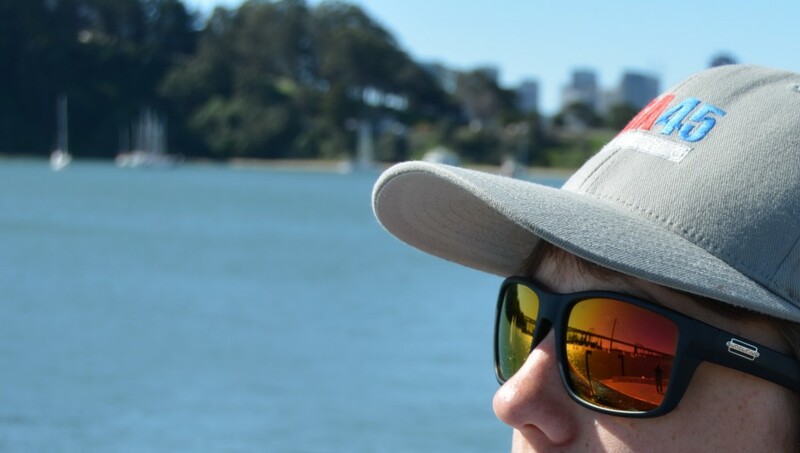 They had their work cut out for them for sure. 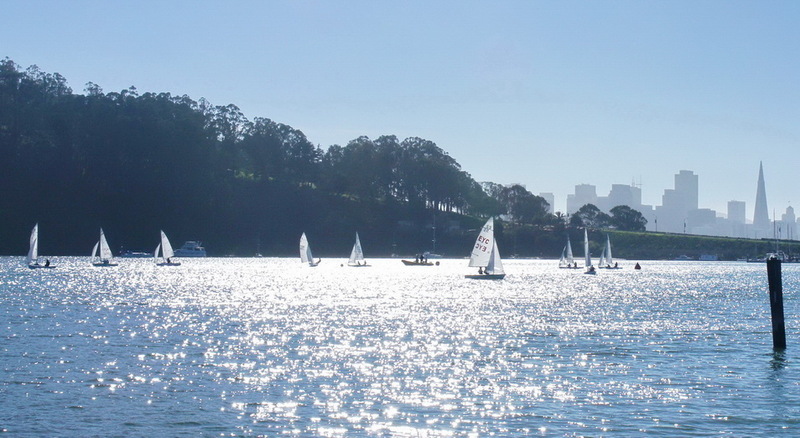 The clockwork-like summer westerlies are “off duty” from November to February. 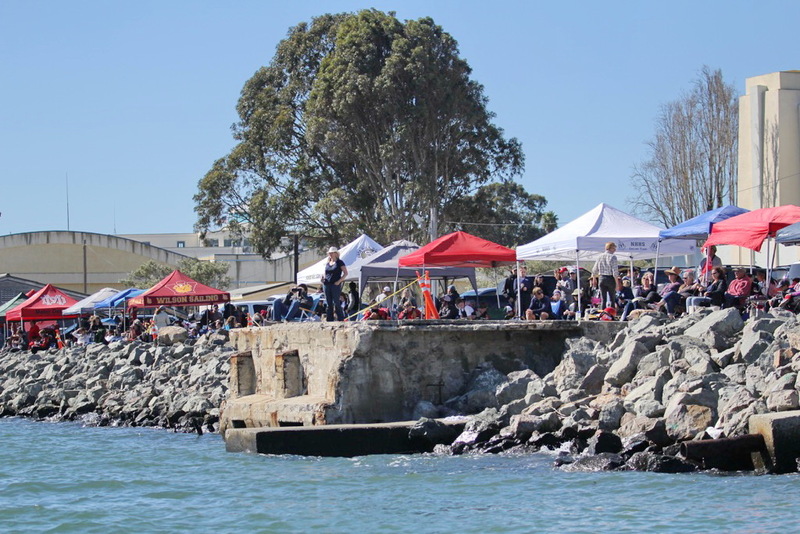 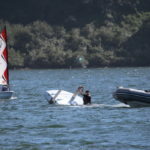 They did show up (late) on Saturday, however Sunday the sailors found themselves racing “out” of the cove rather than “into” the cove – which made for great viewing and iconic photographing but challenging racing. 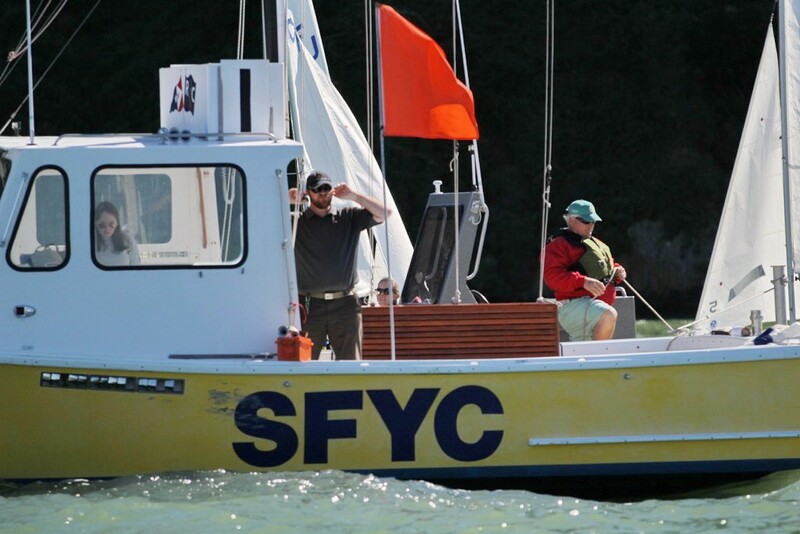 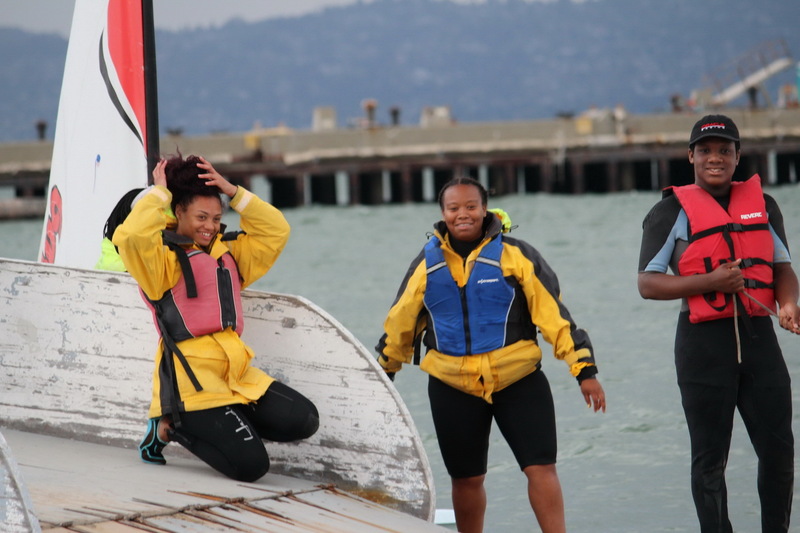 Thanks to the SFYC race committee, the teams raced until sunset. 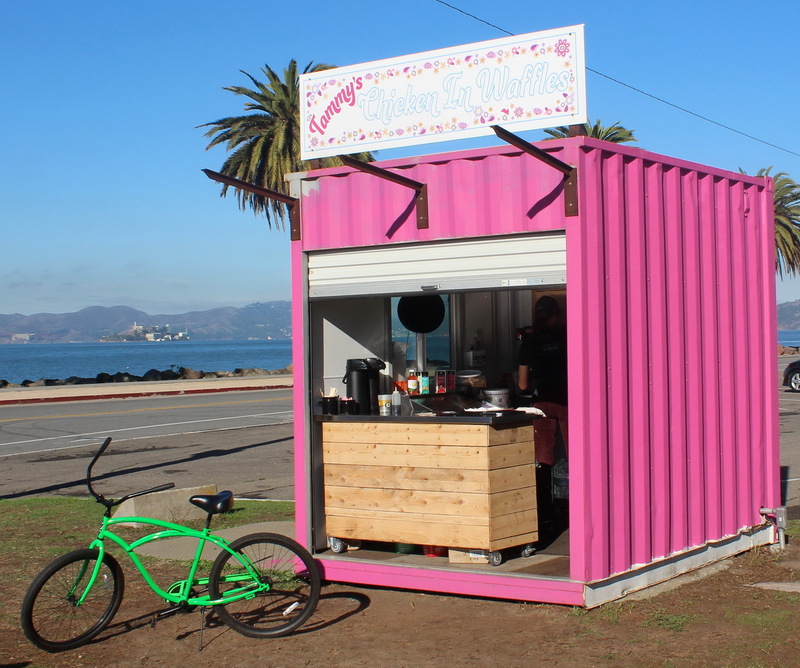 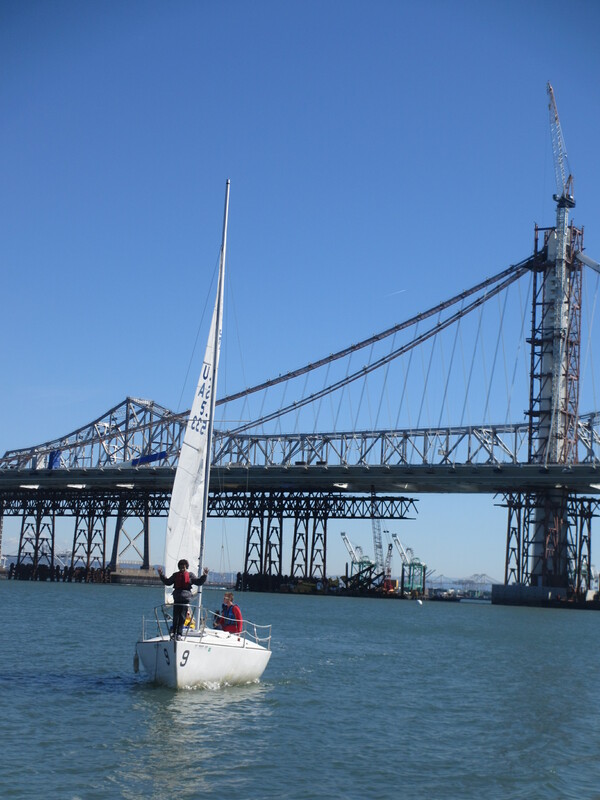 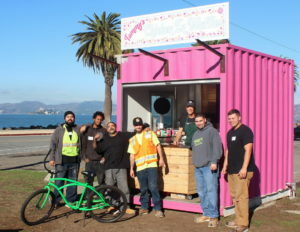 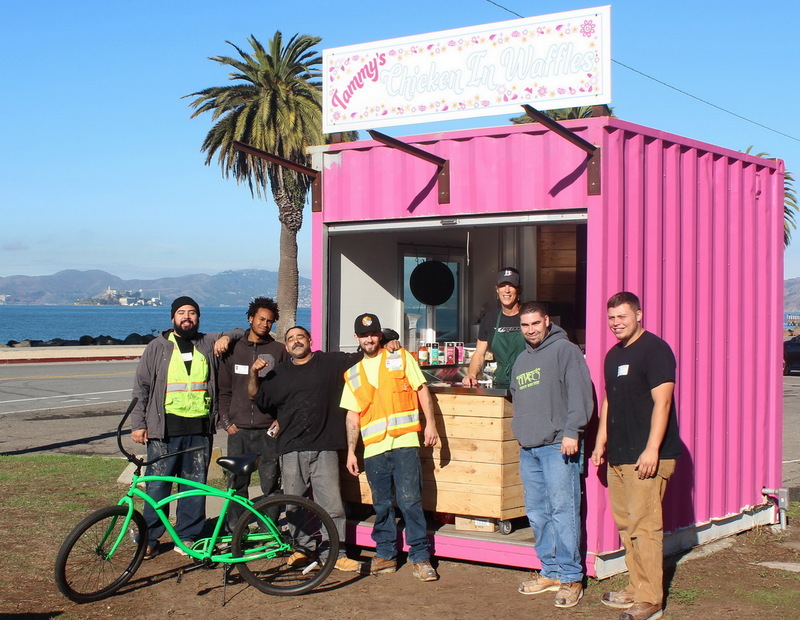 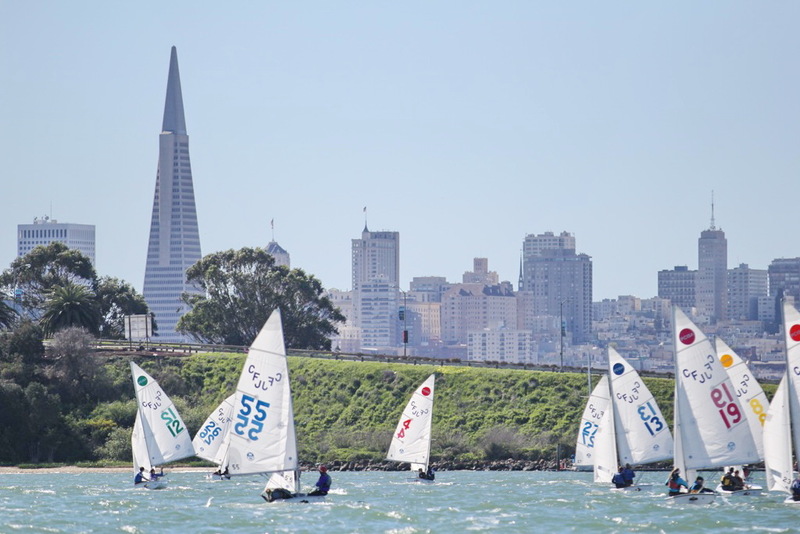 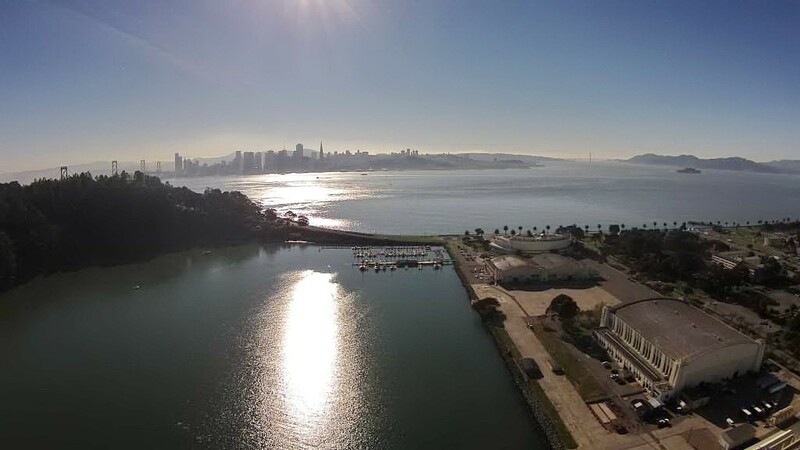 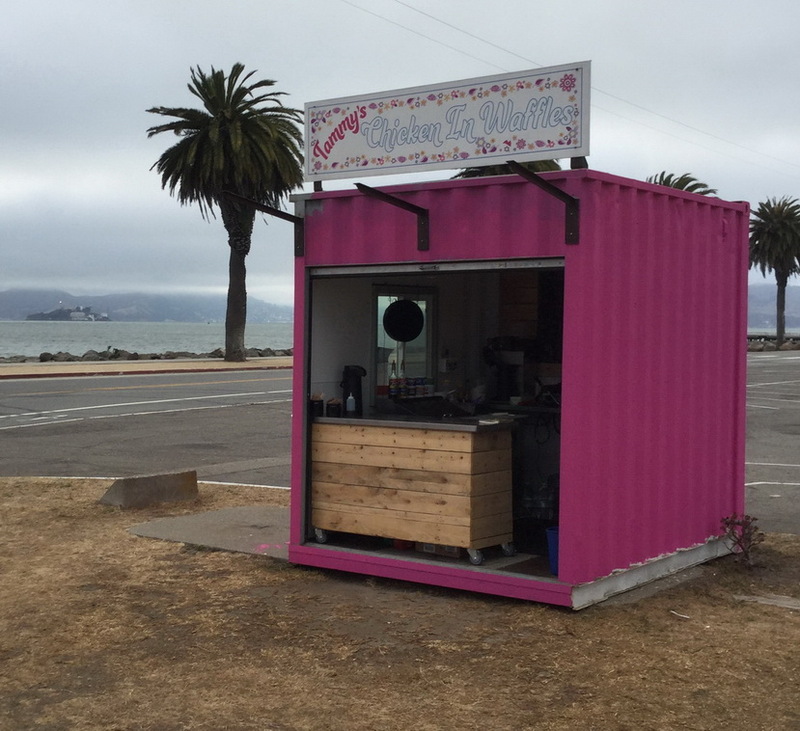 The Treasure Island Sailing Center docks – minutes from the course- made for ideal launching and “shift changes” between the two divisions racing. 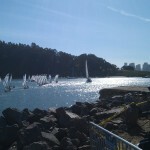 Clipper Cove’s long shoreline parallel to the course made for tremendous view platforms with opportunity for “Kodak Moments” taken in by hundreds of parents and spectators. 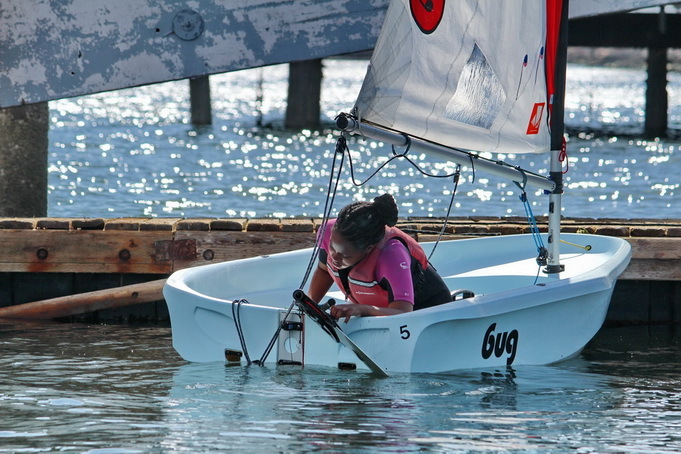 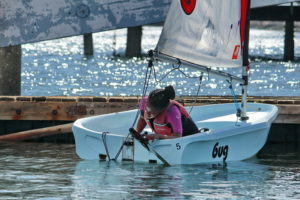 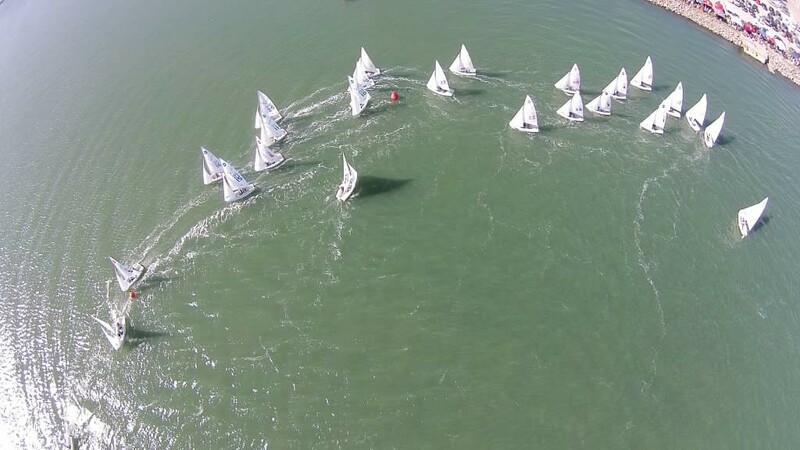 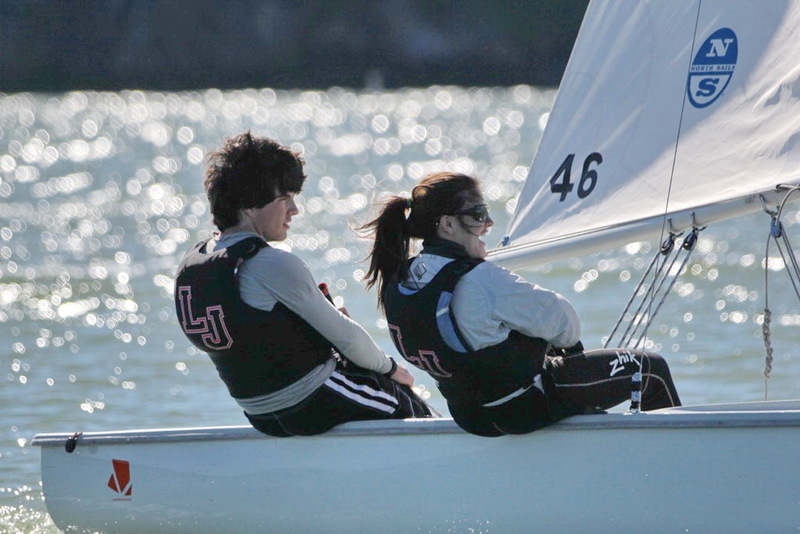 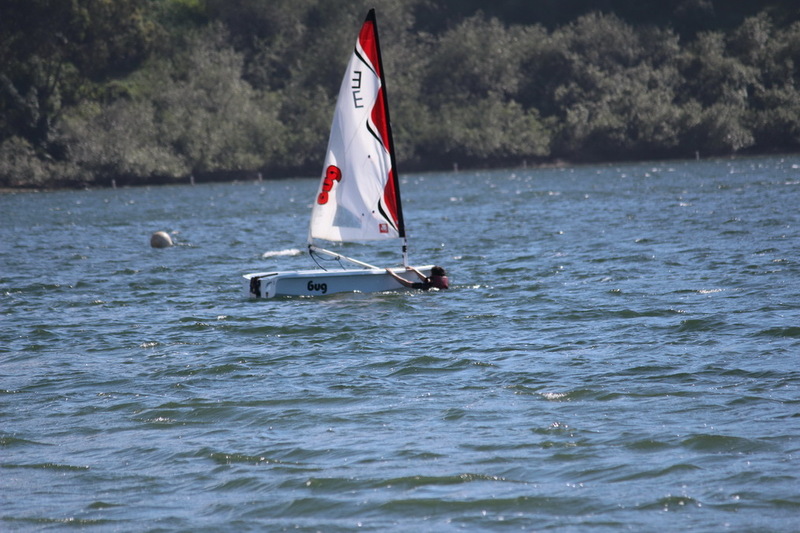 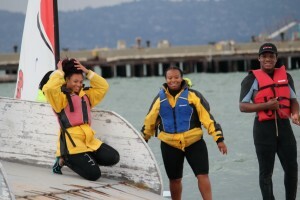 Sailing is one of the few co-ed high school sports. 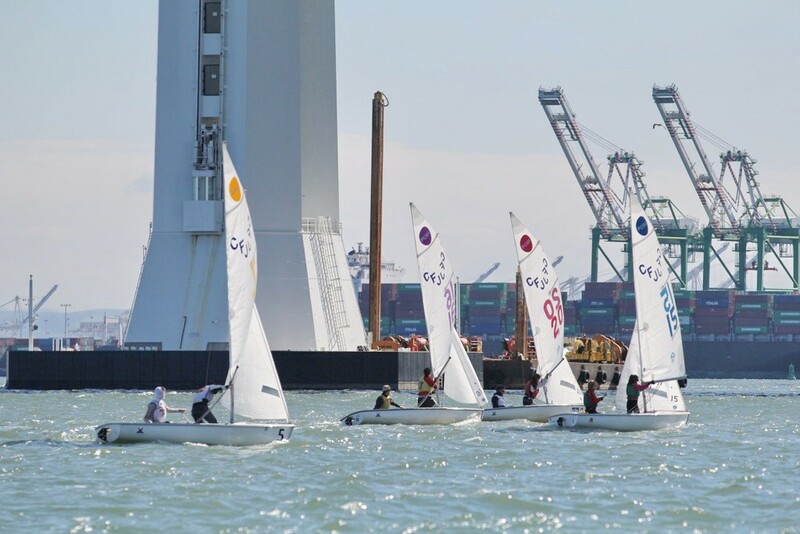 Great to see teamwork and communications skills developing in these young sailors. 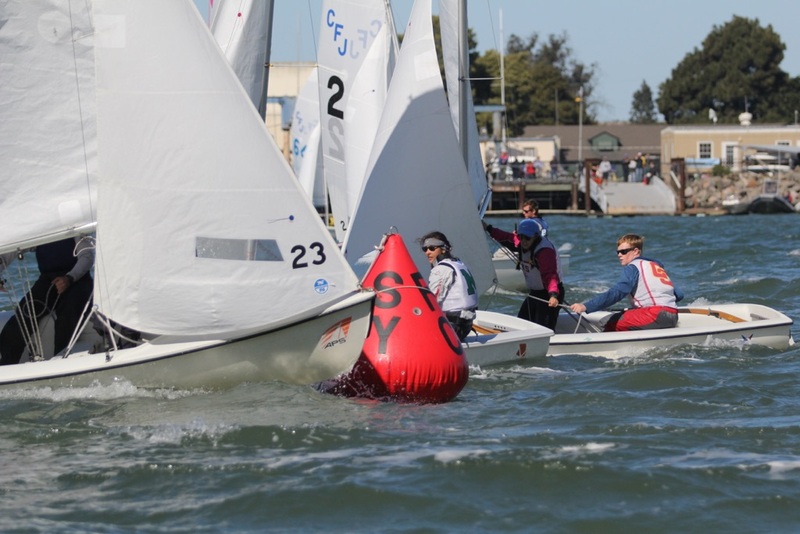 Mark roundings were hectic with frequent lead changes. 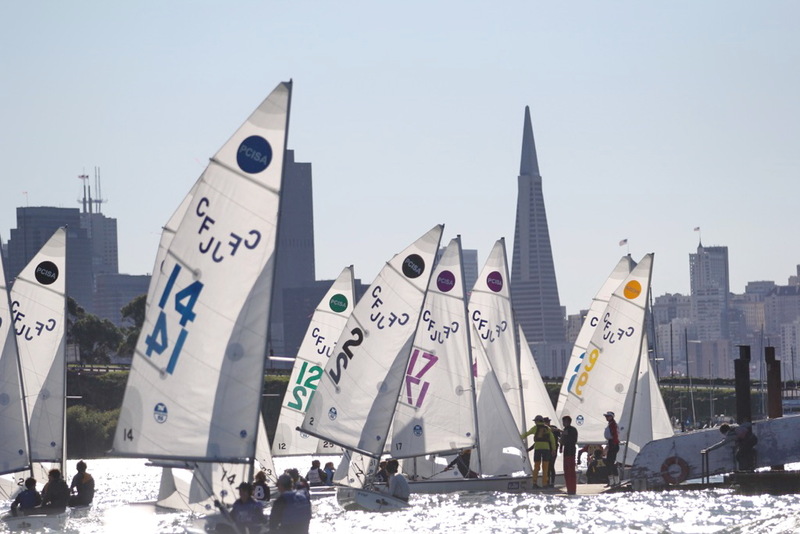 Clipper Cove is unique not only in the sailing venue it provides but also in its iconic location. 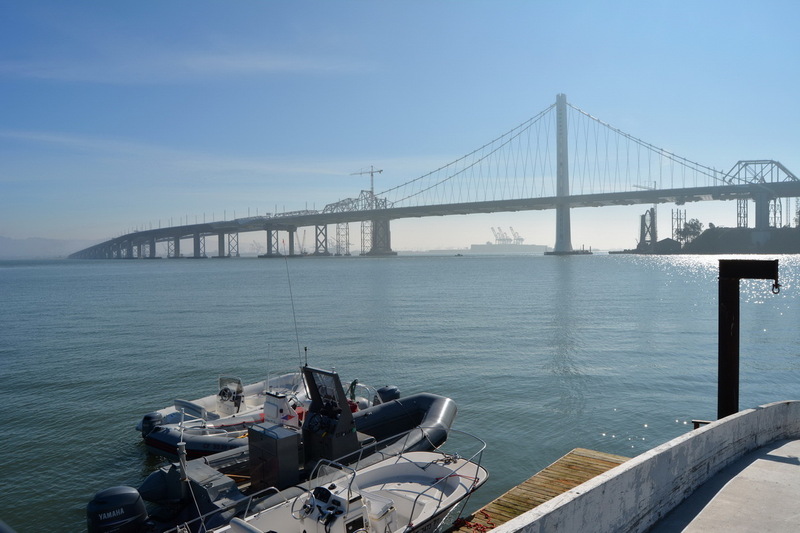 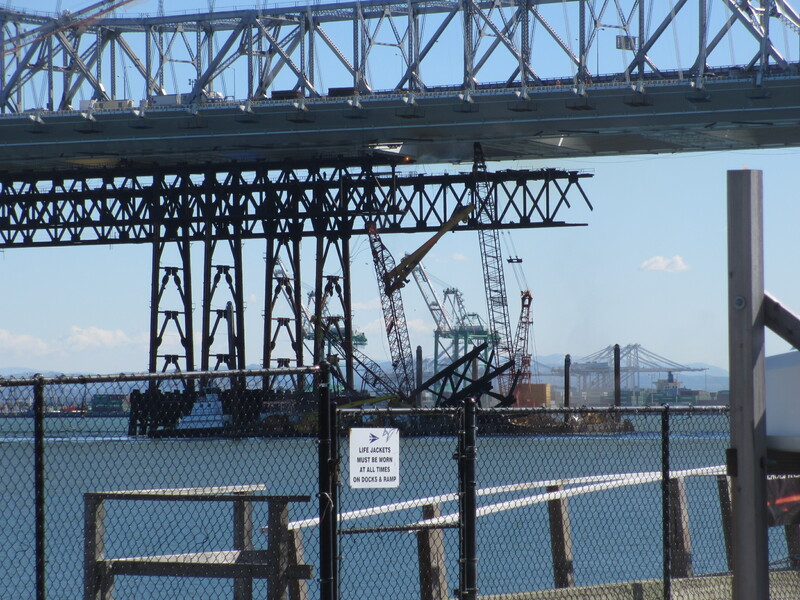 From CC you can see the new Bay Bridge, Golden Gate Bridge, San Francisco’s Skyline and the loading docks in Alameda. 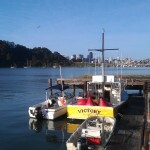 At the end of the day Clipper Cove was back to its picture-perfect self. 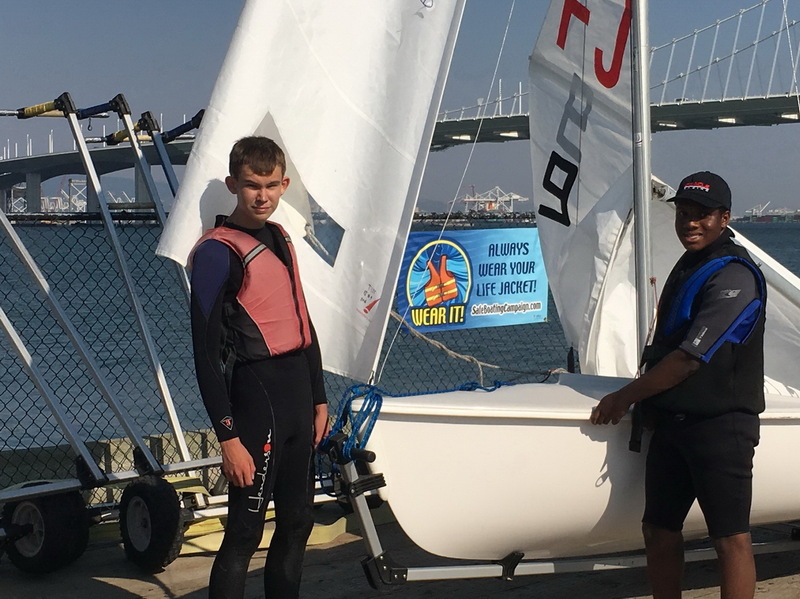 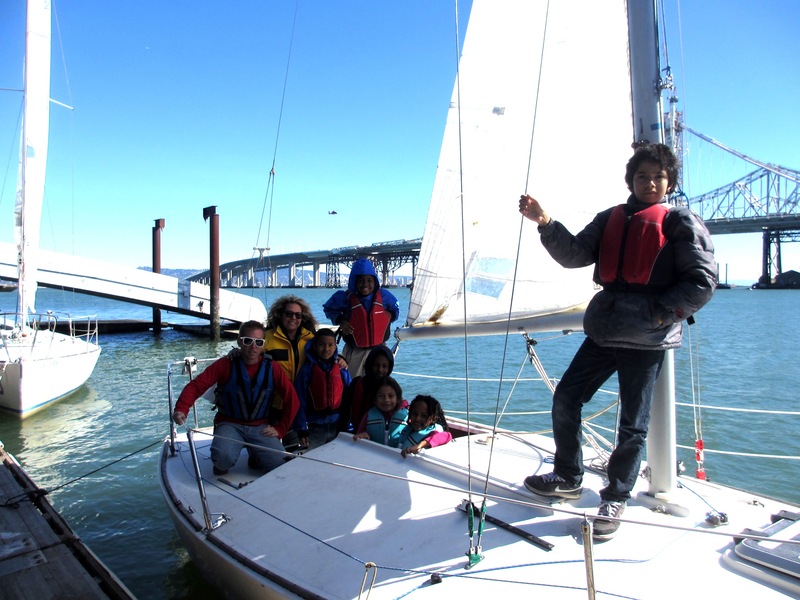 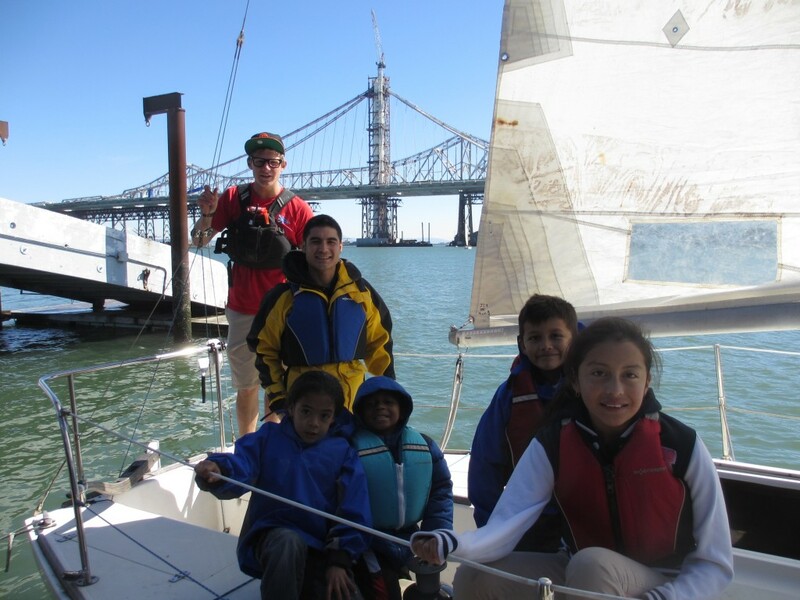 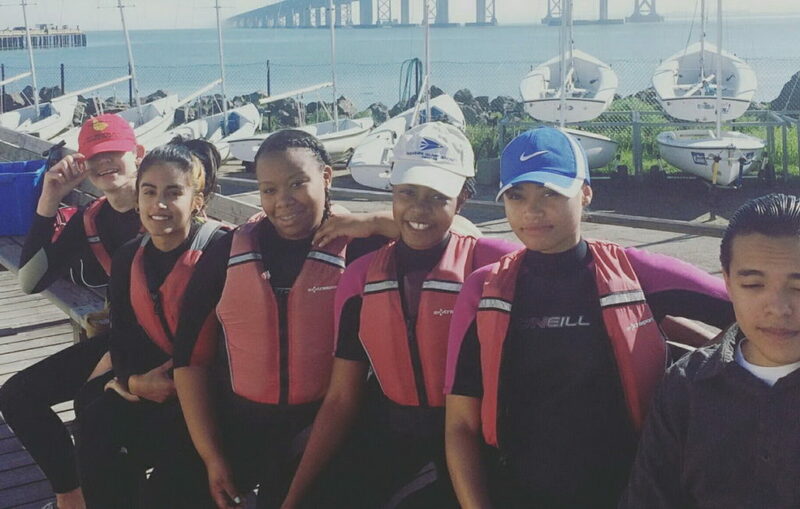 The importance of High School sailing goes way beyond the friends made, seamanship skills, and even life lessons such as goal setting, communications teamwork & leadership. For many students their sailing experience equates to sharing and bonding opportunities during their freshmen years at college. We know firsthand these opportunities are the difference between fitting in and surviving that first tough year vs not making it to the sophomore year. 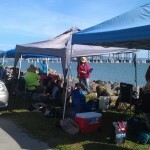 Here are a few additional links related to this post.